The way forward – Integral Healing!!! Please find attached inspirational information on integral development which holds the keys to the future of shared prosperous peaceful partnerships among people and planet. Also please find links to the books that explains the philosophies involved and which connect all the dots into an integral whole. The concept of transformation has long been known to the sciences and has been around in the popular vocabulary for several decades. Because it has never been fully developed as a managed process and applied to our organizations, the way in which we have been trying to deal with the complex issues we face today is looking increasingly inadequate. Transformation management, argue the authors of this inspirational book, now provides the opportunity for the application of the first significant world-wide innovation in the way we manage since Drucker put management itself on the map in the 1950s. In a book that draws on seminal theses and practical examples from the four corners of the world, Ronnie Lessem and Alexander Schieffer provide leaders, students of leadership, managers and change agents with a trans-culturally tested, integrated approach to leadership and management. Only through a redefinition of what leadership, management and entrepreneurship amount to, say the authors, can organizations be transformed into sustainable enterprises capable of dealing with the burning issues of our time. Leaders are coming to realise that it is no longer possible for organizations to operate in any sort of isolation from the society and the wider world in which they exist, but paying lip service to notions of either social responsibility or globality is not good enough. From this indispensable book, those whose enterprises are to have any hope of becoming authentically socially responsible or authentically global will learn to understand and activate the process that dynamically links any organization with the society in which it is embedded and that links the local with the global. The practice of transformation management is about creating real value… for organizations, people, and society. This book, from the Transformation and Innovation Series, makes that practice possible. Why on earth is economics perceived to come in only one or at best two different a-cultural if not a-moral guises? There are real, and many, alternatives to the economic mainstream. The trouble is, of course, that they are hidden from us. In Integral Economics Ronnie Lessem and Alexander Schieffer pave the way for a sustainable approach to economics, building on the richness of diverse economic approaches from all over the globe. By introducing the most evolved economic perspectives and bringing them into creative dialogue they argue that neither individual enterprises nor wider society will be transformed for the better without a new economic perspective. Here, they introduce a comprehensive framework based on the same ‘Four Worlds’ model that is applied to enterprise and research in their earlier works. Given the richness of even mainstream economic theory reviewed in this book, let alone the variety of alternative approaches introduced, it is frustrating that policymakers and business practitioners are impoverished by a lack of apparent economic choice – between a seemingly failing capitalism and an already failed communism. The ‘villains of the piece’ in relation to this lack of choice are not so much the financial community and governments, though they do have much to answer, but the schools of economics and the business schools, that have created the very social ethos, the philosophical principles, and the mathematical models, that influence events. Integral Economics is partly addressed to academics and students in those very schools, who have either realized the error of their ways, or, less dramatically, are curious to explore whether our businesses and communities could be run in a different way. It will be welcomed by informed senior practitioners, eager to understand the current rethink of economic theory and practice and to discover how to position themselves, their organizations, and their society within a new framework. Integral Education and Integral Advantage as the core themes, relating to burning issues in South Africa and Africa as a whole. 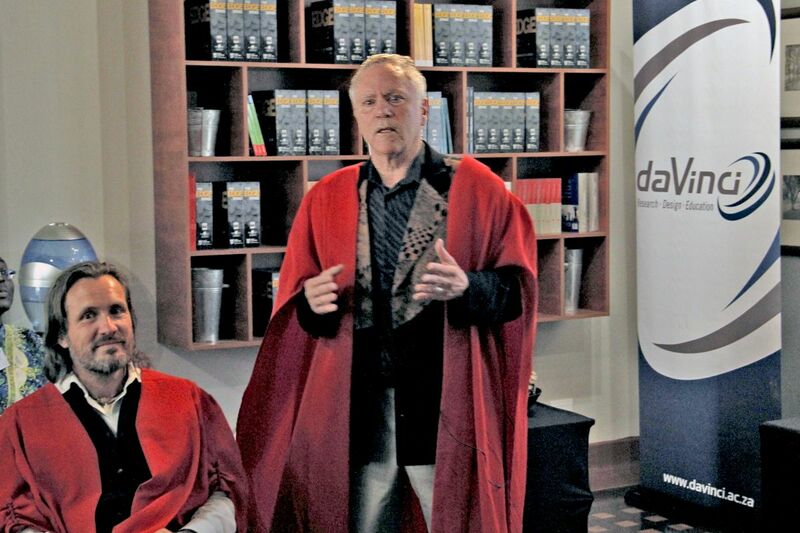 Trans4m’s Co-Founders, Prof. Alexander Schieffer and Prof. Ronnie Lessem were invited by the South Africa’s The Da Vinci Institute to deliver Inaugural Lectures, following their appointment as Professors on the Da Vinci faculty. 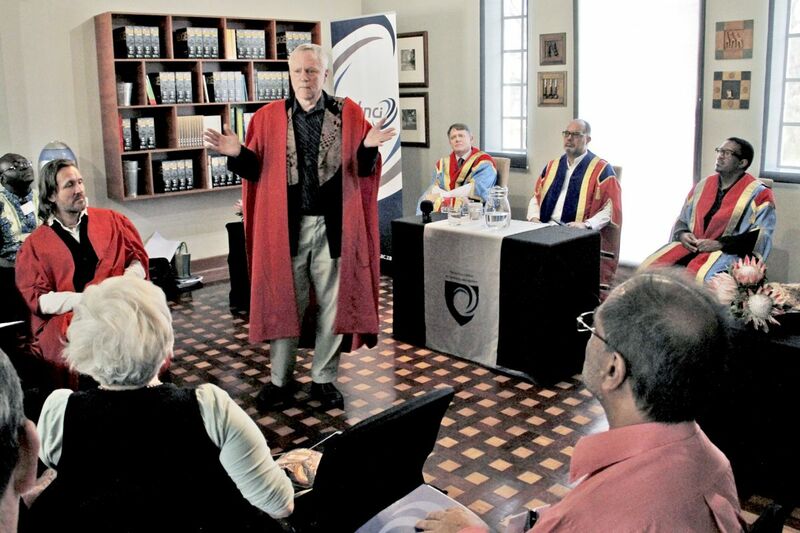 The Da Vinci Institute was founded in the early 1990s, based on the inspiration provided by Nelson Mandela. 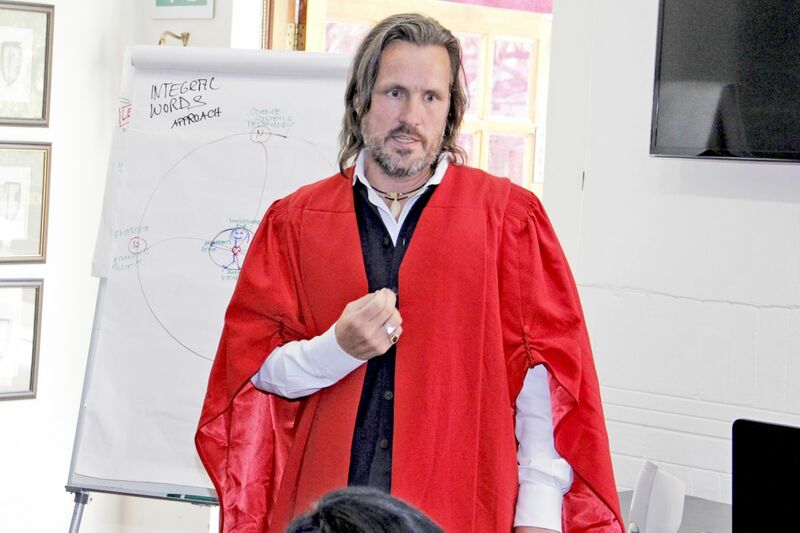 Both lectures took place in a festive environment in The Da Vinci institute, with the participation of Da Vinci faculty and a large number of distinguished guests. 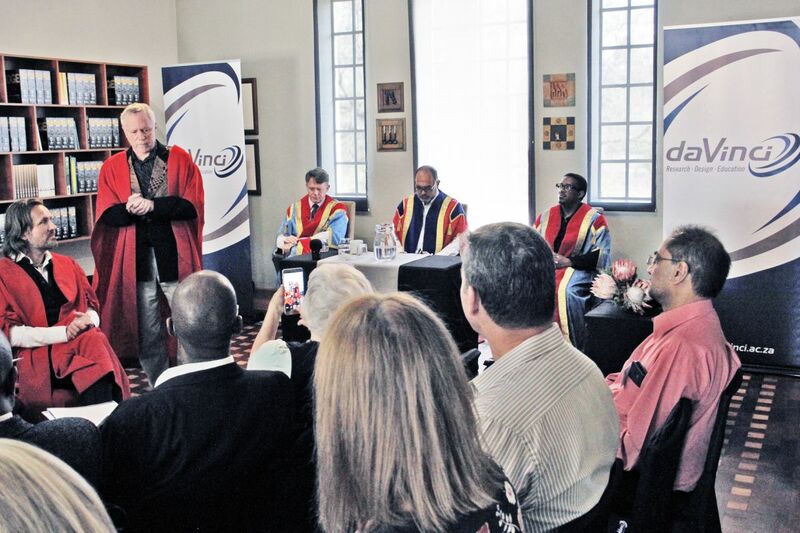 Both Lessem and Schieffer used the occasion to provide an integral response to key burning issues that South Africa and Africa as a whole are facing. 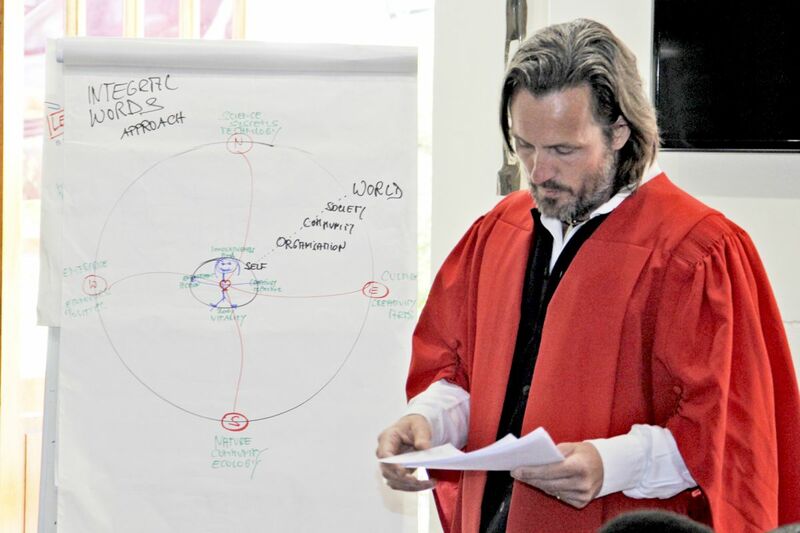 Schieffer, in the first lecture, proposed “Integral Education” as a holistic vehicle to catalyse individual, collective and societal transformation simultaneously, and to fundamentally transform the mainstream, individualistic “degree factory” approach to education. 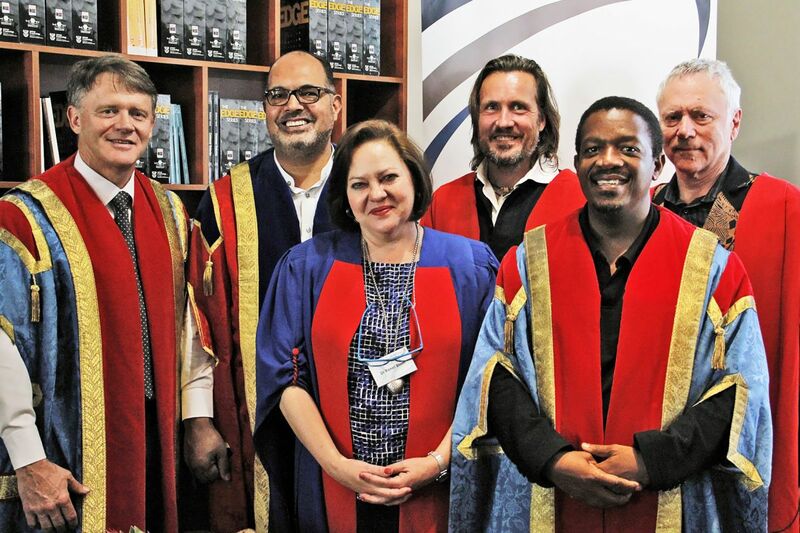 Lessem, in the second lecture, offered “Integral Advantage” as a new perspective on the socio-economic positioning of South Africa, and a viable alternative to the prevalent economic paradigm of “Competitive Advantage”. Both lectures were well received, and the audience participated actively in the dialogue session following each lectures. In particular themes of identity, culture and systemic transformation, undercurrents in both lectures, were intensely discussed.